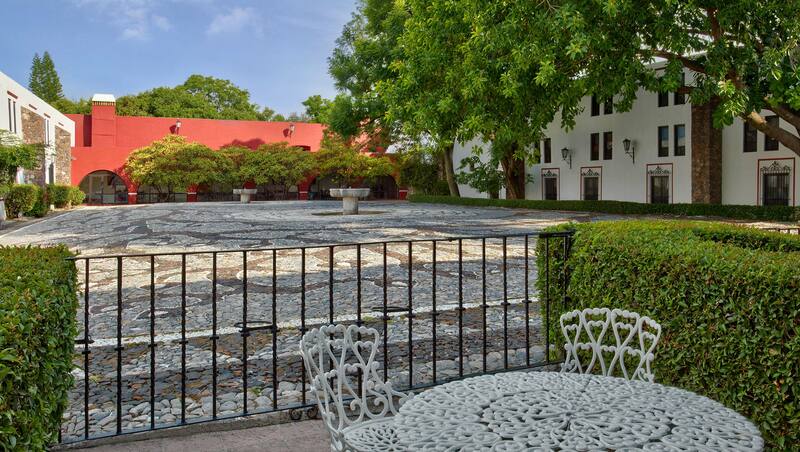 Enjoy lush garden views from your rooms and have a truly authentic experience in one of our Master located in the original part of the hacienda. 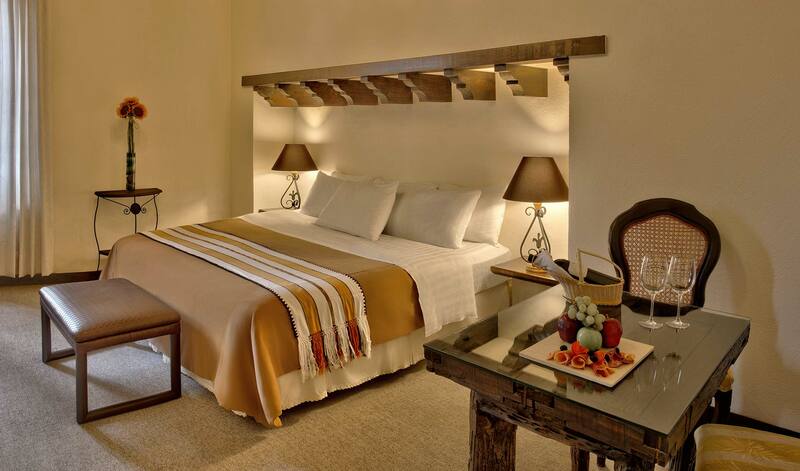 Enjoy the tranquility of your Standard Room featuring 2 double beds. 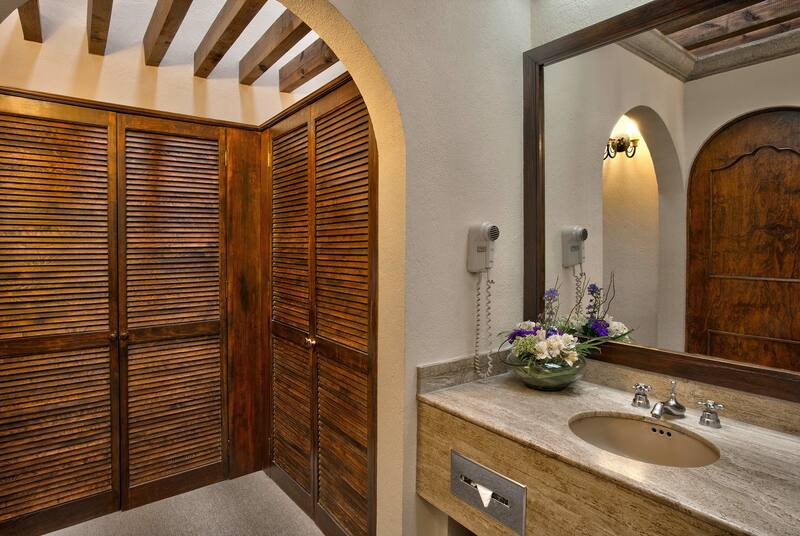 These spaces also include a private bathroom and modern amenities. Occupancy: 2 adults & 2 children or 3 adults & 1 child. Air conditioning, 42” widescreen flat panel LCD HD television with cable, hairdryer, iron and ironing board, Neutrogena bath amenities, alarm clock, in-room safe, wireless internet, coffeemaker, and telephone. 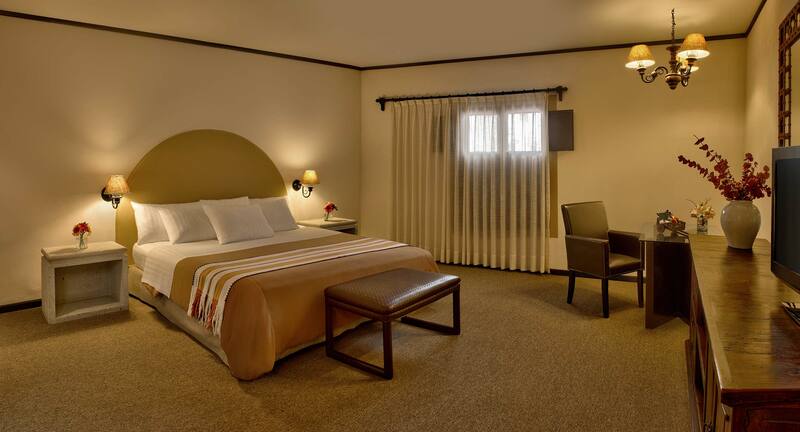 Enjoy the comfort of our contemporary accommodations, featuring a king bed. Private bathroom, air conditioning, 42” widescreen flat panel LCD HD television with cable, hairdryer, iron and ironing board, Neutrogena bath amenities, alarm clock, in-room safe, bathrobe, slippers, wireless internet, coffeemaker, and telephone. 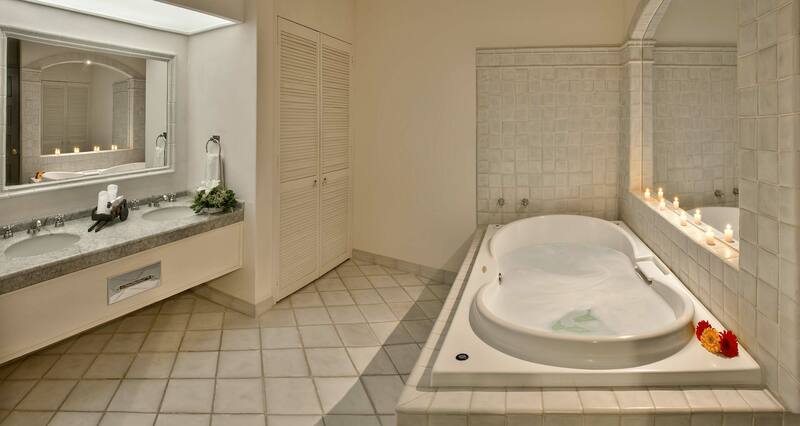 These one-bedroom suites come with a king bed and private jacuzzi. 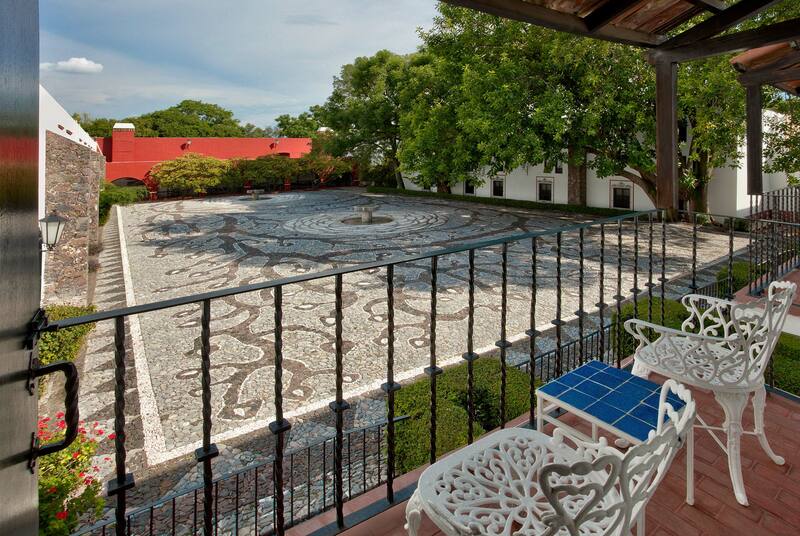 Beautiful view to Los Naranjos courtyard. Jacuzzi, private bathroom, air conditioning, 42” widescreen flat panel LCD HD television with cable, hairdryer, iron and ironing board, Neutrogena toiletries, alarm clock, in-room safe, bathrobe, slippers, wireless internet, coffeemaker, and telephone. 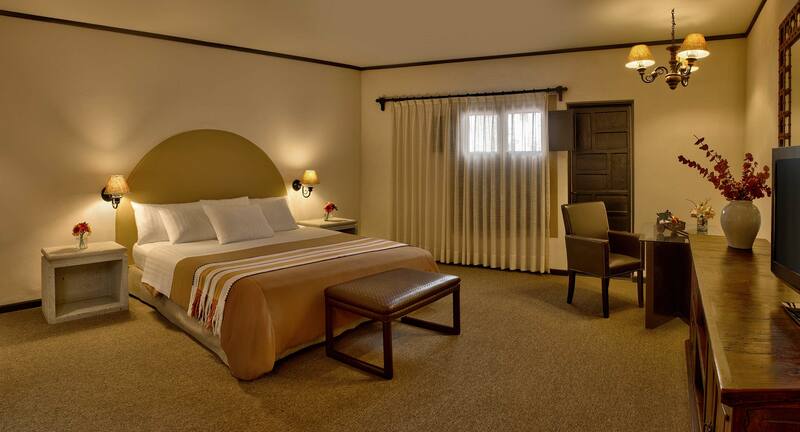 Enjoy more of your own space in these larger one-bedroom suites, each with a king bed. Private bathroom, air conditioning, 42” widescreen flat panel LCD HD television with cable, hairdryer, iron and ironing board, Neutrogena toiletries, alarm clock, in-room safe, bathrobe, slippers, wireless internet, coffeemaker, and telephone. 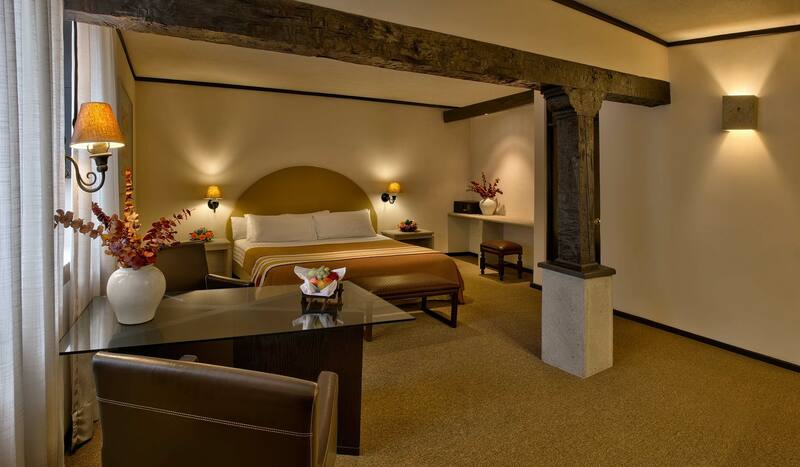 The BBC Rooms, designed under a Mexican colonial architecture, feature materials like oakwood and neutral tone textiles. 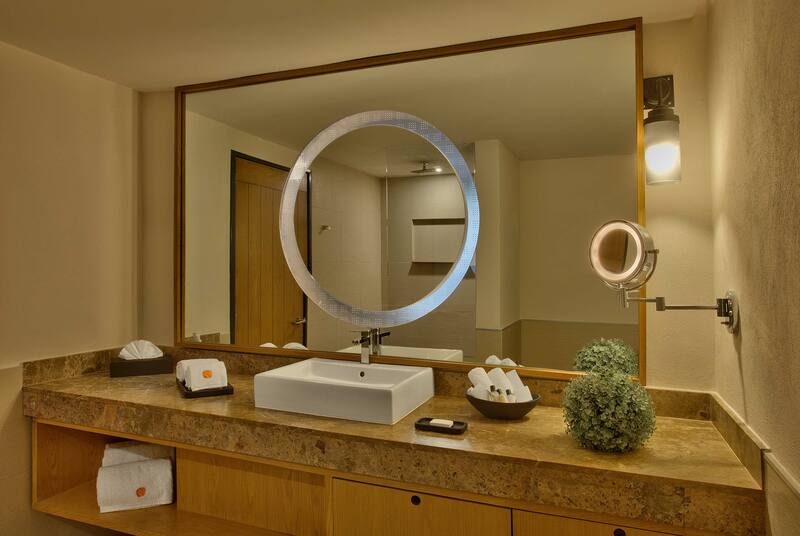 The design choices give the room a warm yet contemporary feeling perfect for today's modern guests. 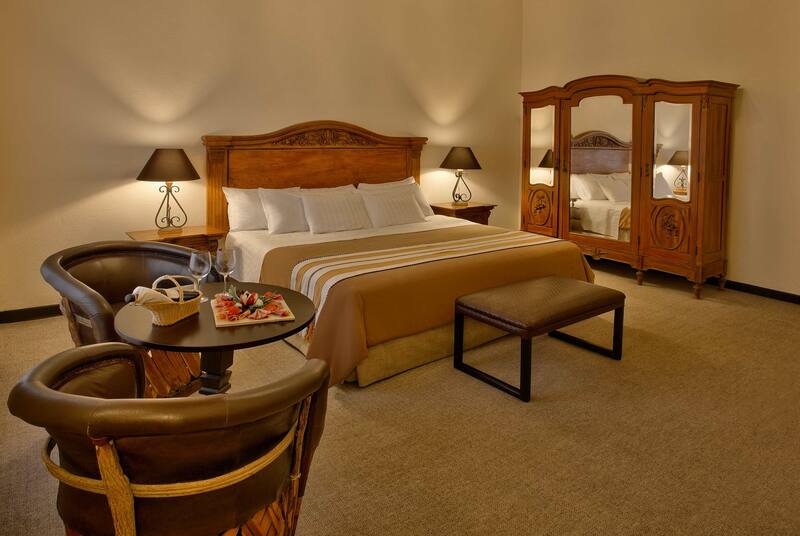 Occupancy: 2 adults & 2 children or 3 adults & 1 children, Rooms with one king bed or two double beds. Private bathroom, air conditioning, 42” widescreen flat panel LCD HD television with cable, hairdryer, iron and ironing board, Neutrogena bath amenities, alarm clock, in-room safe, bathrobe, slippers, wifi, coffeemaker, and 3 telephones. Enjoy the tranquility of a private terrace or balcony connected to your room. With views of the Mediterranean courtyard, created by internationally renowned artist Jose Chavez Morado, enjoy the open air both day and night. 2 adults & 2 children. Rooms with one king bed or two double beds. Private bathroom, air conditioning, 42” widescreen flat panel LCD HD television with cable, hairdryer, iron and ironing board, Neutrogena bath amenities, alarm clock, in-room safe, bathrobe, slippers, wifi, coffeemaker, and telephone.